To evaluate the overall strength of your organization’s M&A capabilities, it is necessary to define the current strengths and weaknesses within your existing Origination to Optimization process. Begin by ensuring that your unique M&A growth strategy is clearly defined, understood and well-articulated. 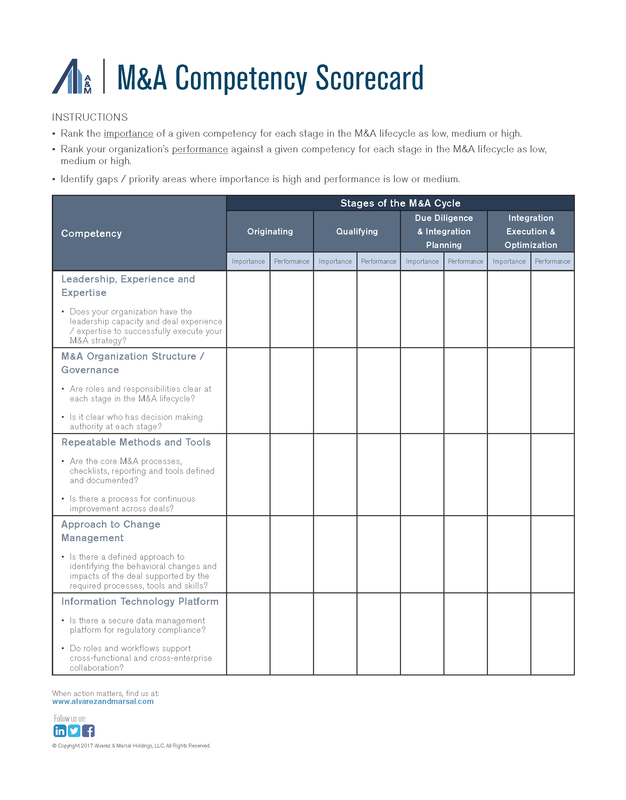 Second, consider each of the five elements of a strong M&A organizational competency. And lastly, determine both the performance and the importance of each of the five elements at each stage in the M&A deal lifecycle. Learn more by downloading the PDF.